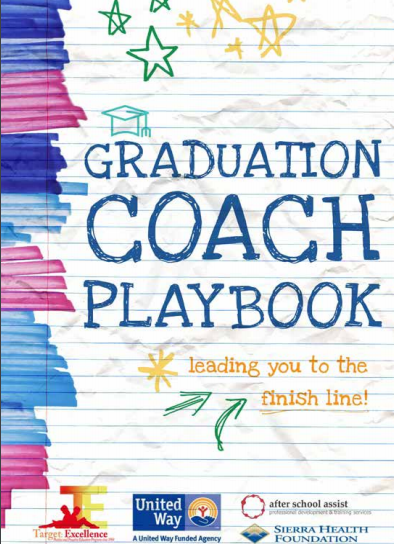 The Playbook includes “Teaching your Students Growth Mindset”. Growth Mindset teaches students that intelligence is not a fixed trait that one simply possesses, intelligence can be cultivated through learning. With effort and guidance, anyone can increase their intellectual abilities. Too many children feel they are not smart enough for college. The Playbook also lists the “Early Success Indicators” so students and their coach can address anything on the list that might be of concern. The playbook lists things students should be doing in each grade to stay on the road to college. The Playbook is only available by download for now. We hope to make a an interactive web version soon. There are also plans to create a student workbook where students can track and monitor their progress. This helpful tool was created by a grant from the Sierra Health Foundation with collaboration from After School Assist, Sacramento City Unified, San Juan Unified, Target Excellence, Elk Grove Unified, United Way, St. Hope Schools, Twin Rivers Unified, Natomas Unified, Galt Unified, UC Davis and Sac County Office of Education.